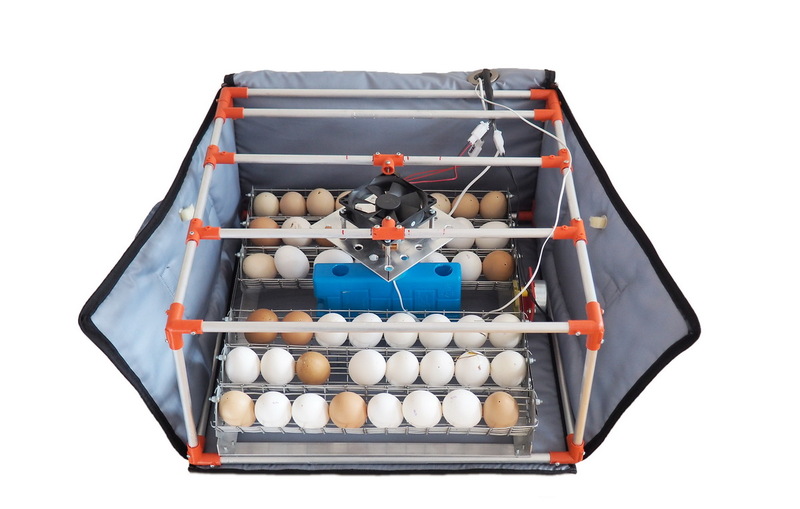 Broody Micro Battery 50 is an automatic household incubator for 50 eggs intended for breeding domestic and exotic breeds of birds such as chickens, ducks, geese, quail, guinea fowl, turkeys, peacocks, parrots, pigeons and others. 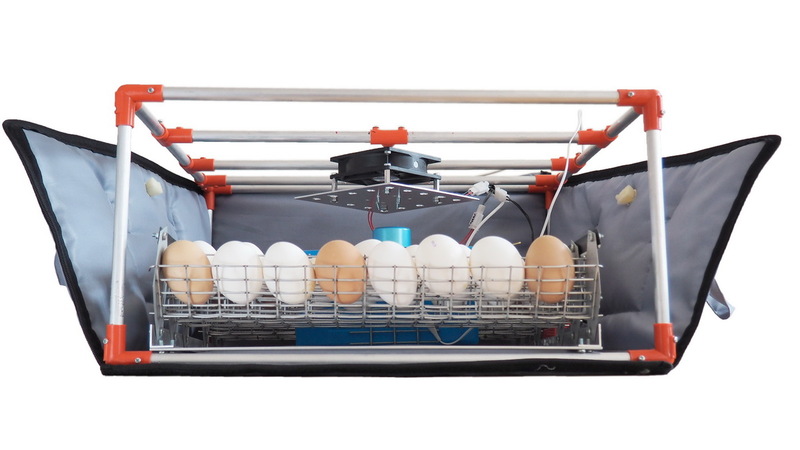 – Universal tray of auto-turn of eggs, allowing to remove eggs of birds of different breeds. Industrial high-precision temperature and humidity sensor based on low-potassium polymer dielectrics. The sensor is characterized by stable, low hysteresis, temperature and humidity with low drift. The sensor does not require calibration during the entire service life, because The factory calibration is stored on the sensor chip. The PID system (proportional, integral and differential method) ensures smooth output, without jumps and “flights”, and maintains the set temperature within 0.2 degrees. 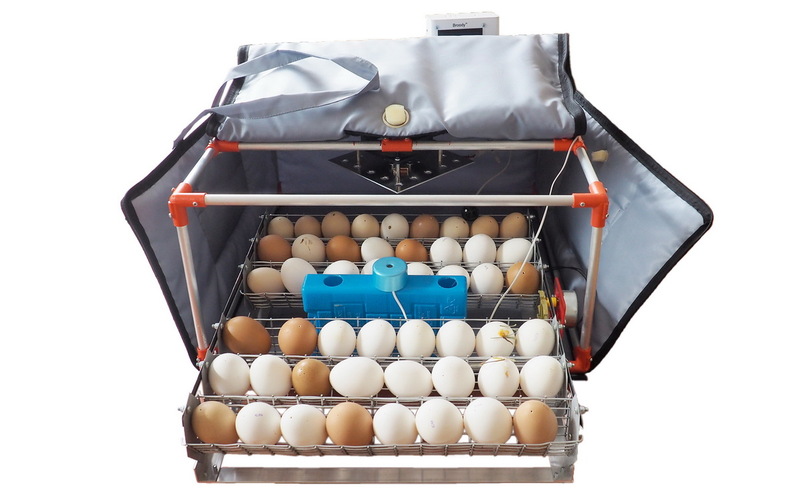 Turning the eggs in the Micro Battery 50 incubator provides an original (patent) 50-egg couch with an individual motor. The frequency of the coup can be set from 1 to 24 hours. The duration of the coup is from 20 seconds to 2 minutes. 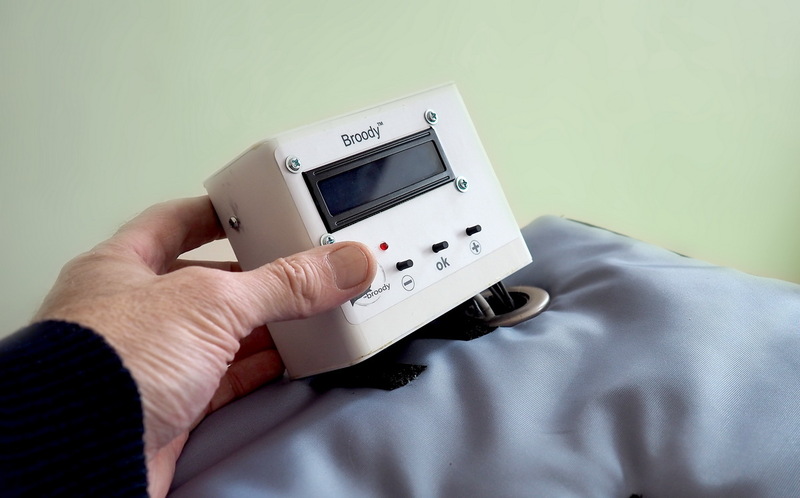 A humidifier of the type used in an incubator allows a moisture content of 65% in a few minutes (6 minutes). The water reserve in the humidifier reservoir provides for water replenishment every 3-4 days. The maximum humidity reached by the humidifier is 85%. 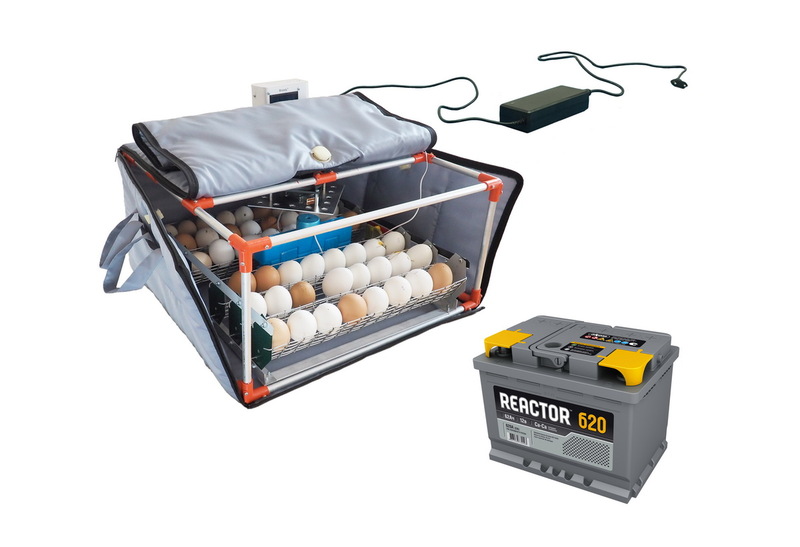 Incubator Micro Battery 50 has a power system from a backup source – a 12v battery. In the absence of voltage in the network 220v incubator in automatic mode, switch to work from the battery. When there is a voltage in the network, the incubator automatically goes to work from the 220v network. 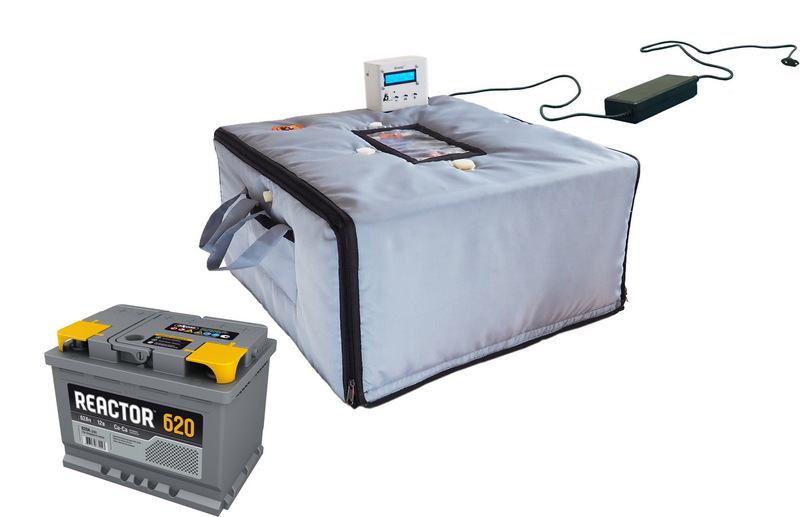 In the incubator the function of protecting the battery from deep discharge is realized – the electronics monitors the level of discharge of the battery and when the critical value (10.7V) is reached, the load is disconnected. 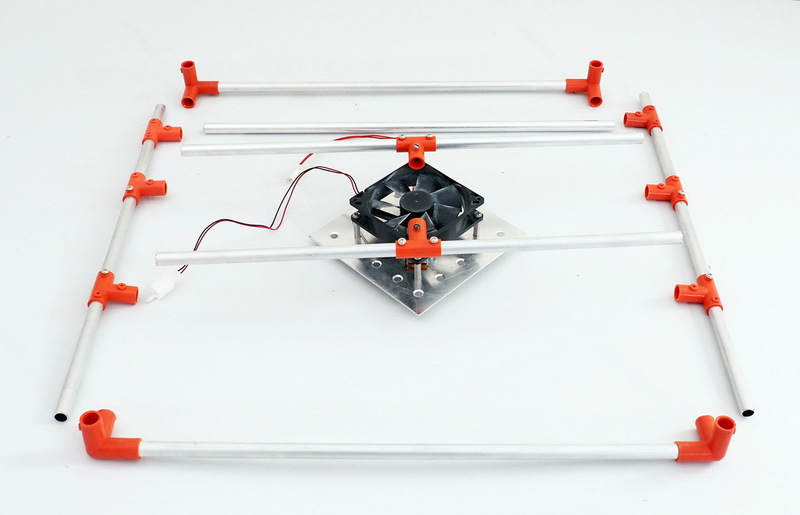 Structurally the incubator consists of a skeleton and a warm, moisture-proof cover. 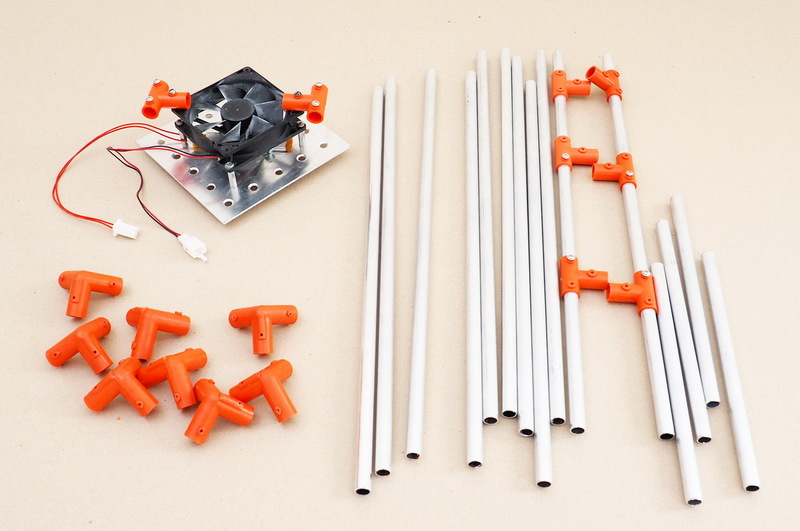 The frame is made of light aluminum tubes and plastic connecting elements. This solution eliminates the corrosion of the incubator elements in a warm and humid environment. 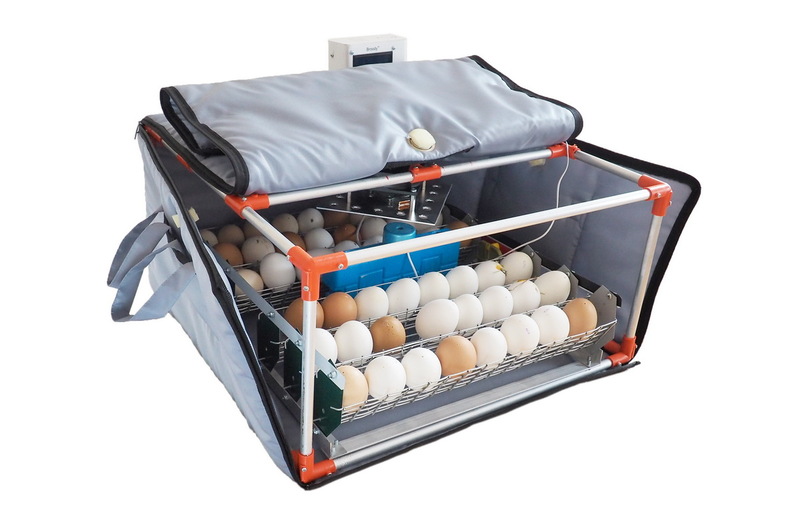 A robust and lightweight disassembled design allows reducing the transported volume of the incubator and reducing transportation costs. 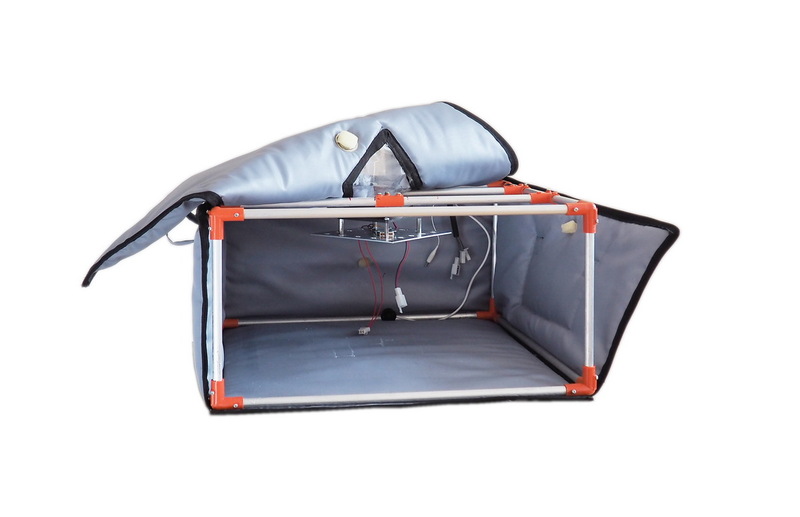 The cover of the incubator is made of strong wear-resistant fabric, and is designed for many years of operation. Disinfection and cleaning of the cover are carried out in a washing machine. All elements of the Micro Battery incubator operate on a voltage of 12V, which is absolutely safe for people and pets. The automatic egg coupler consists of galvanized, plastic and aluminum elements that are not corroded. 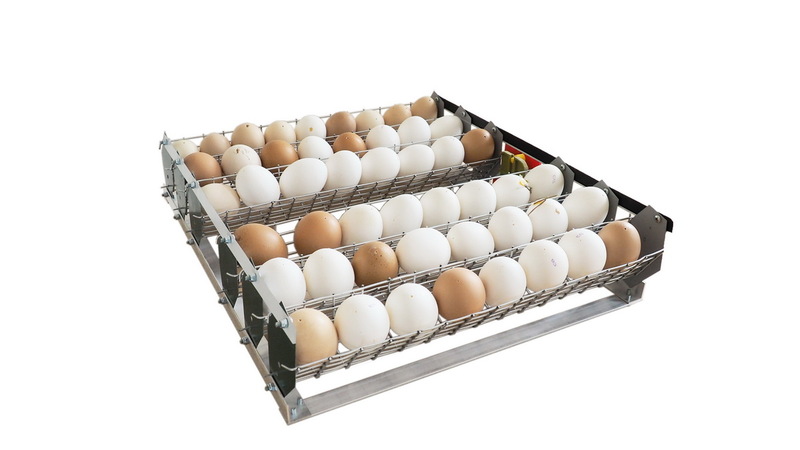 The original development of Ukrainian engineers allows, without any alterations, to breed breeds of birds with different egg sizes: from quails (using a special insert for quail eggs) to geese. The motor of the tray is equipped with a reducer, which allows smoothly turning the eggs at a speed of 4.5 revolutions per minute. 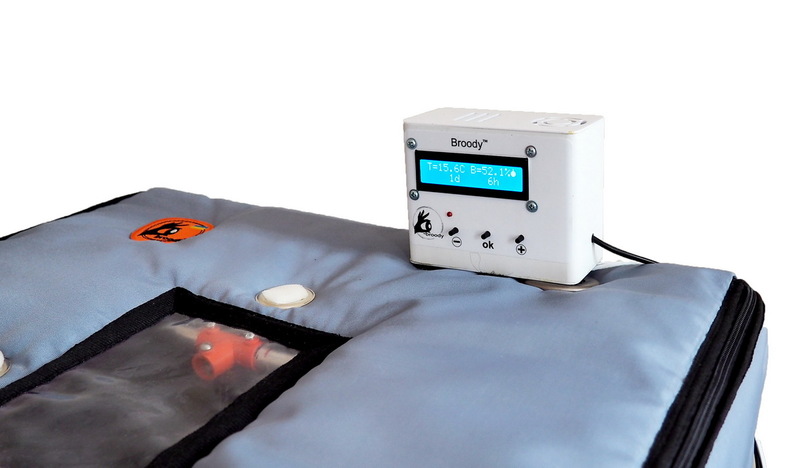 Broody Micro Battery 50 is designed specifically for poultry farmers engaged in breeding small poultry.